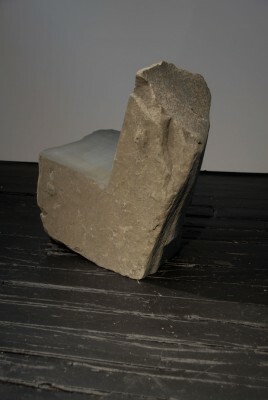 connection to New York, and is visible throughout the city’s sidewalks and architecture. 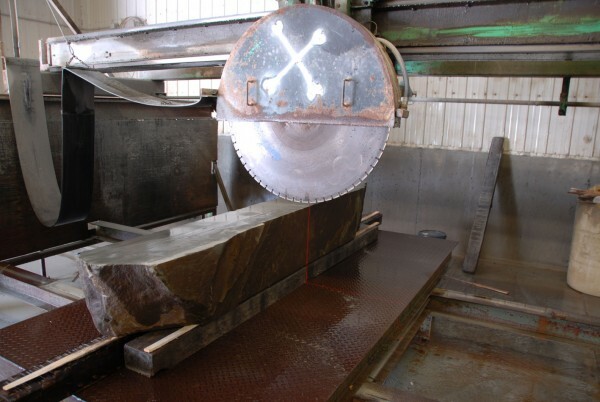 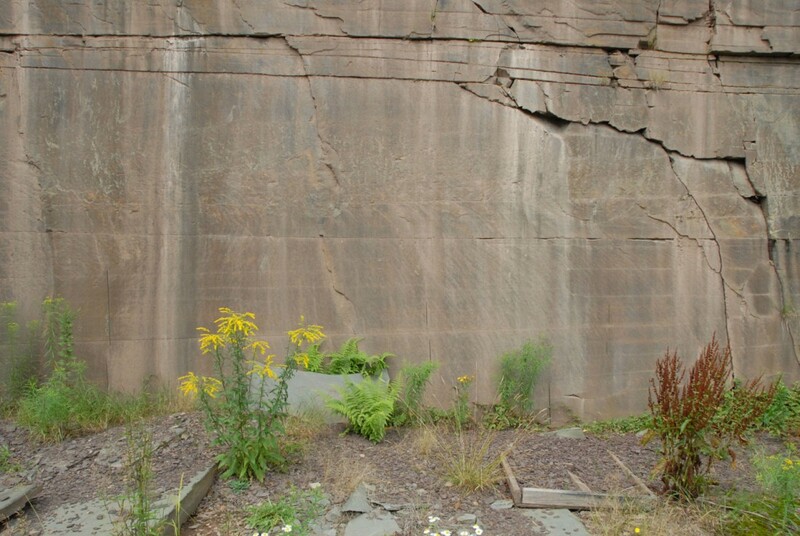 Bluestone, found predominantly in the Catskill Delta in Upstate New York, was created over 350 million years ago from run-off from the Acadian Mountains, which covered the area where New York City now exists. 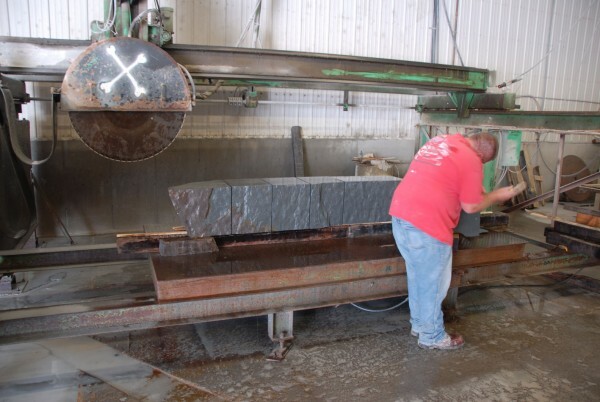 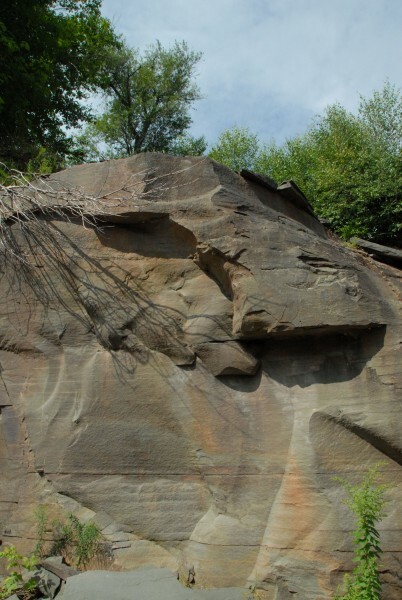 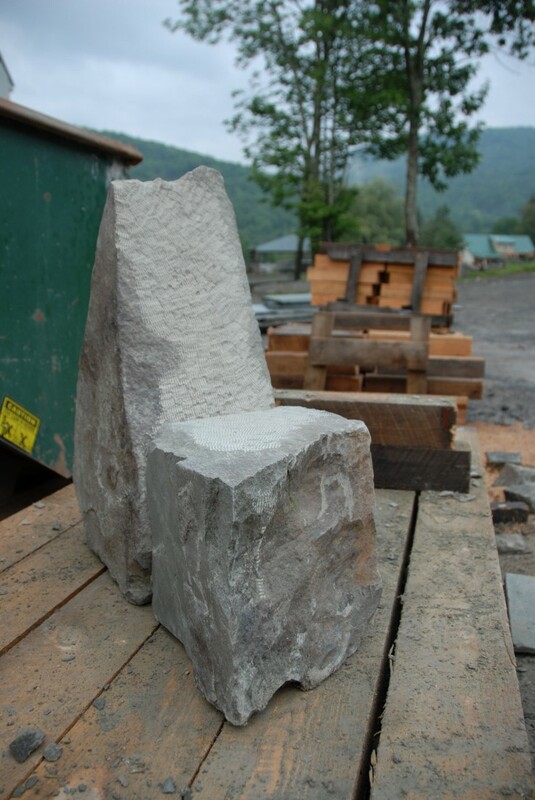 Research into the origins of the bluestone paving slabs seen in Manhattan led me to the heart of the Catskill Mountains in the search for suitable and inspiring pieces of stone from which to carve furniture. 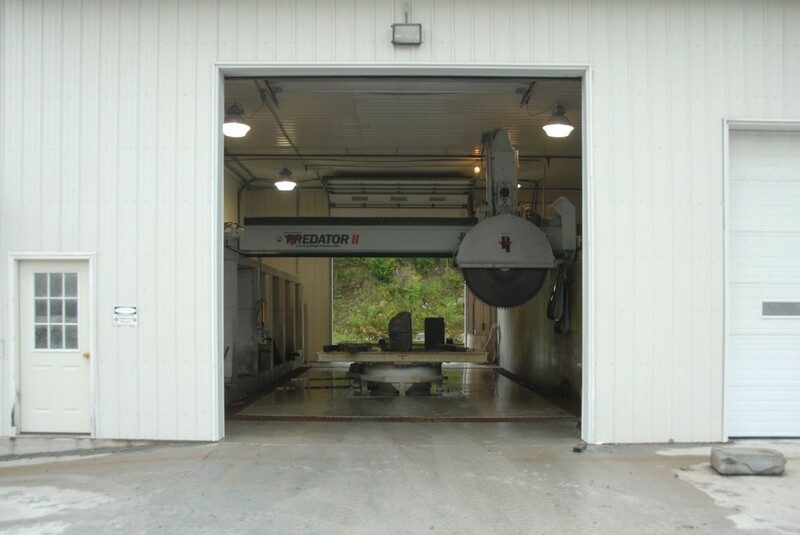 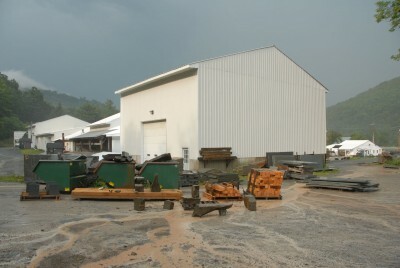 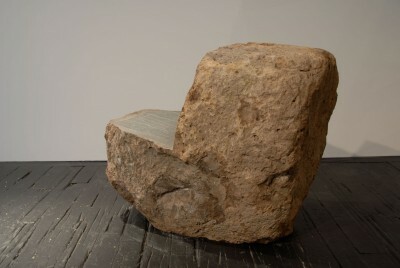 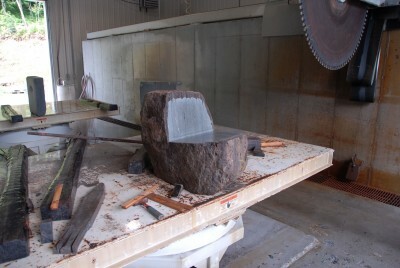 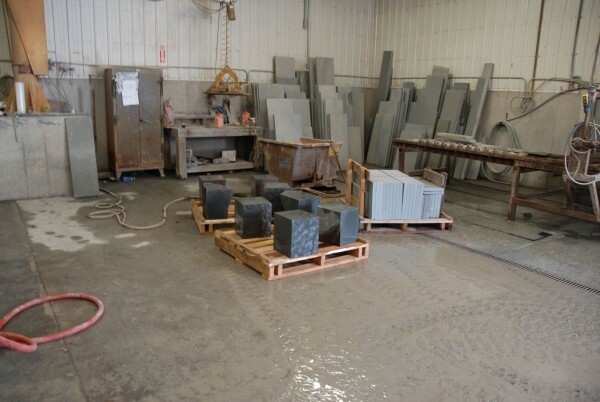 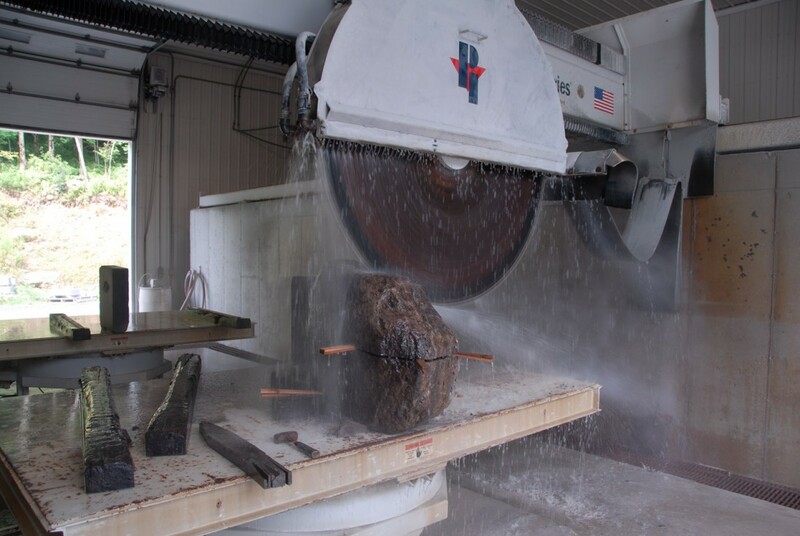 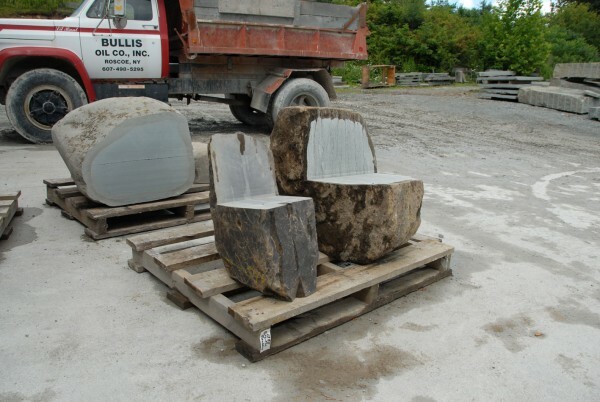 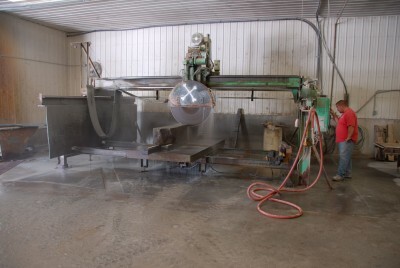 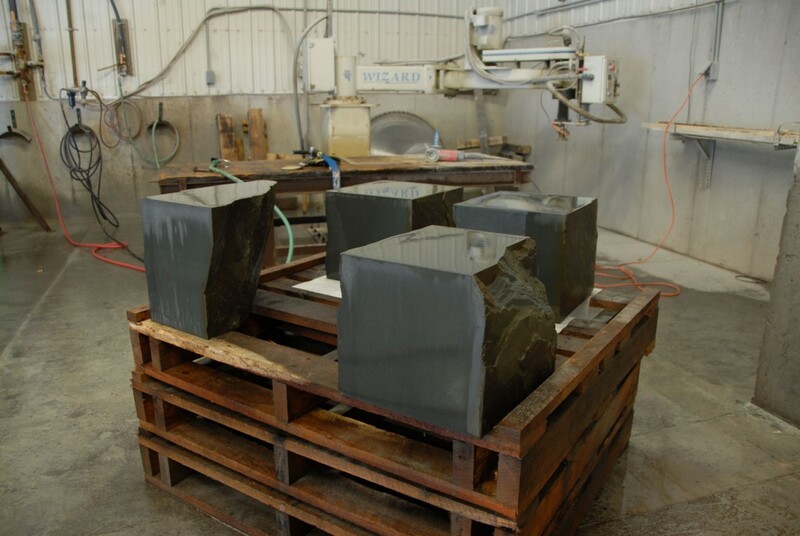 I collected stones from four bluestone quarries in the region and worked directly with Sonny and Sons Stone Company, located in the small village of Downsville, combining hand-carving and machine-cutting techniques to create a collection of chairs, tables, benches and stools. 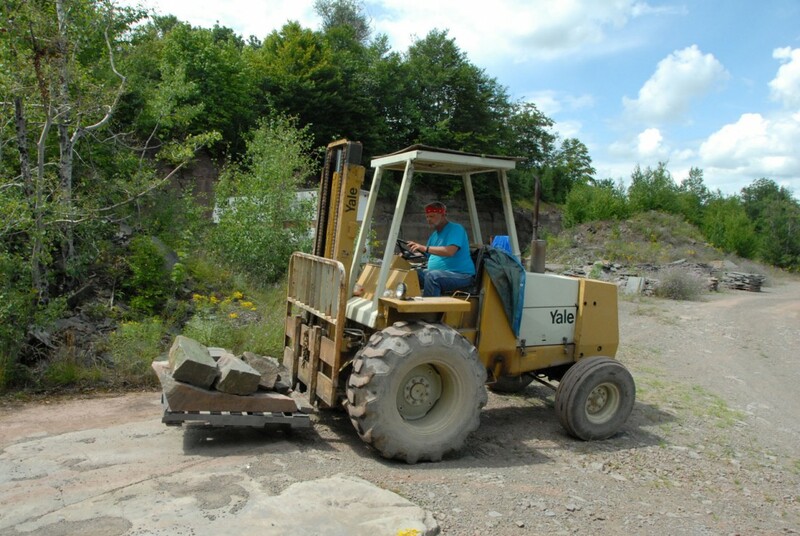 Where ambition exceeded my physical capacity, specialist equipment such as forklift trucks, gantries and impressive 3mØ diamond cutting saws were used to move and manipulate the large boulders, sometimes weighing over 1000kg. 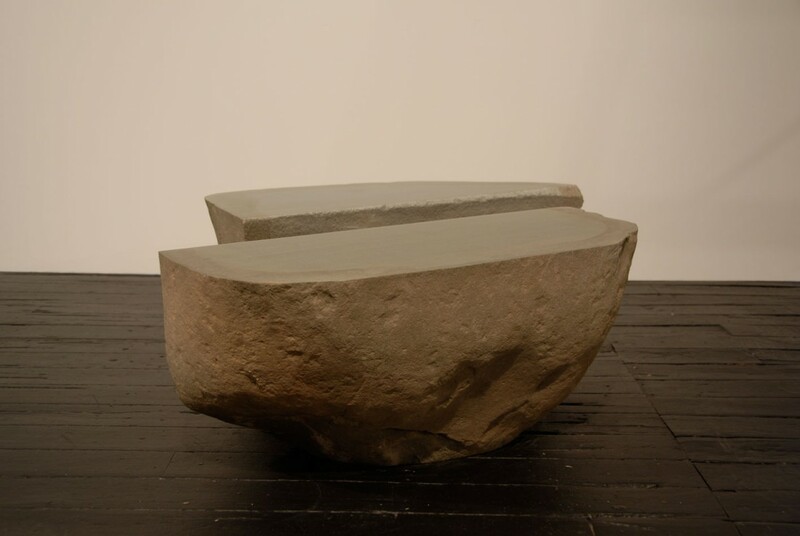 For the pieces carved by hand, smaller bluestone boulders were selected which I could manoeuvre by hand, sometimes combining two or more boulders to make a table or chair, often spending more time searching for two stones which nested together perfectly than the time it took me to carve them into a piece of furniture. 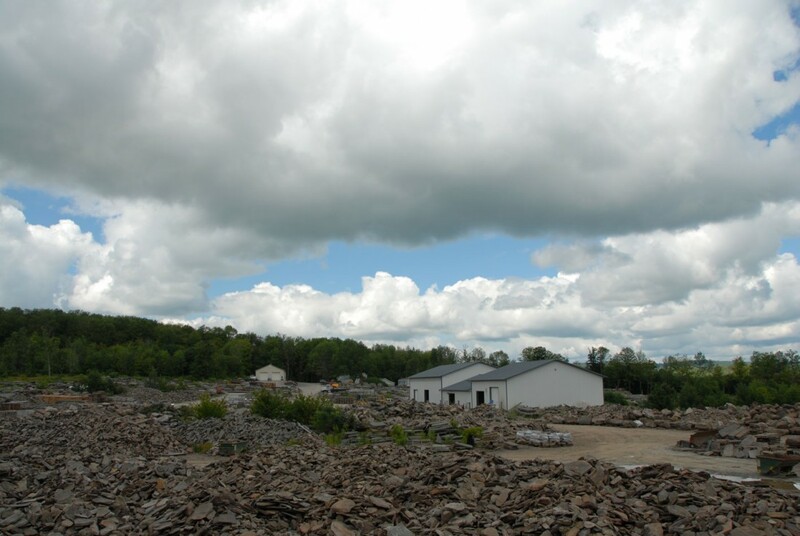 I was introduced to Earl Hennessey who owned a small Bluestone quarry just a few miles away from Sonny & Sons. 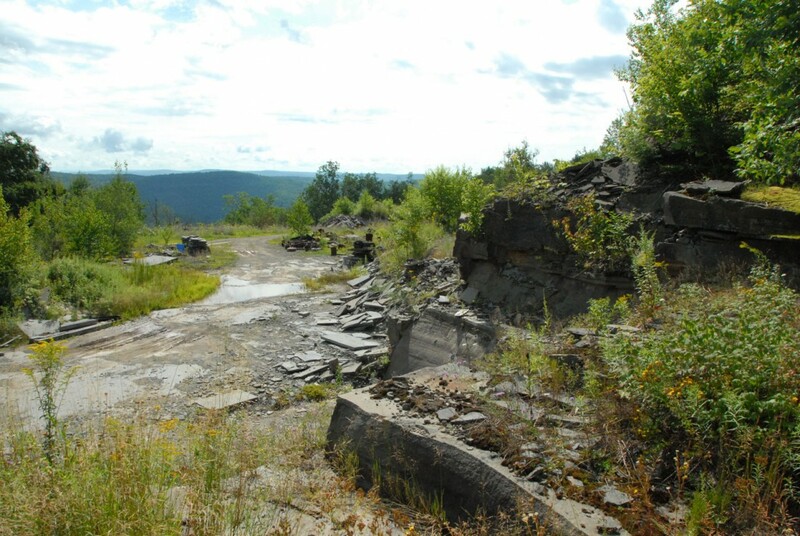 Earl is the third generation of quarrymen in his family to quarry this site in the Catskill Mountains, and he now works the quarry with just his brother-in-law. 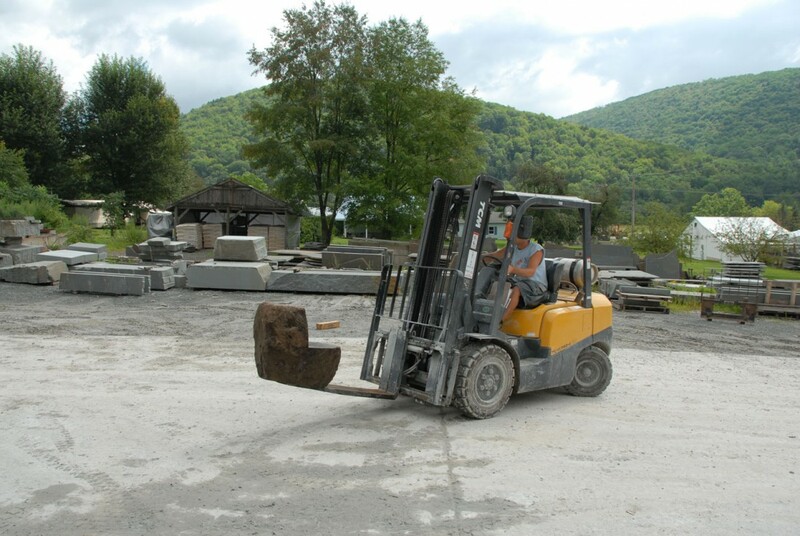 It is heavy and hard work but an incredible environment in which to spend your working days. 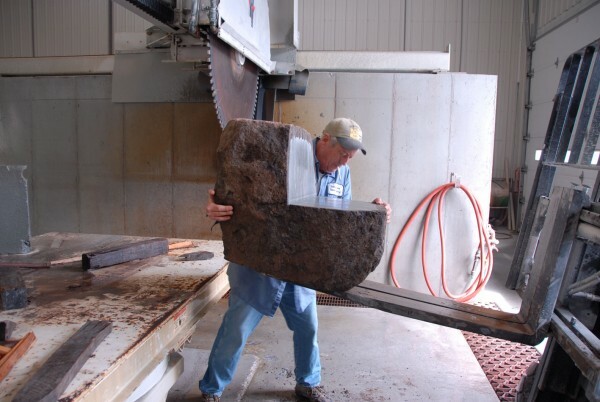 Earl says, “It’s a hard way to earn a living, but a great way to live”. 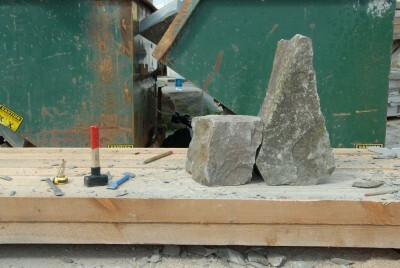 I spent two days with Earl in his quarry searching for suitable pieces of bluestone to work with. 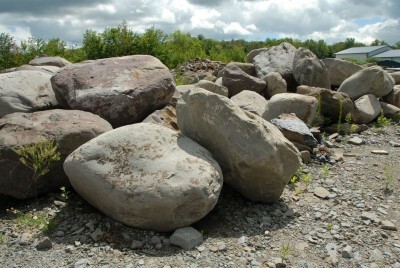 Many of the boulders I found were from piles of unwanted bluestone called overburden. 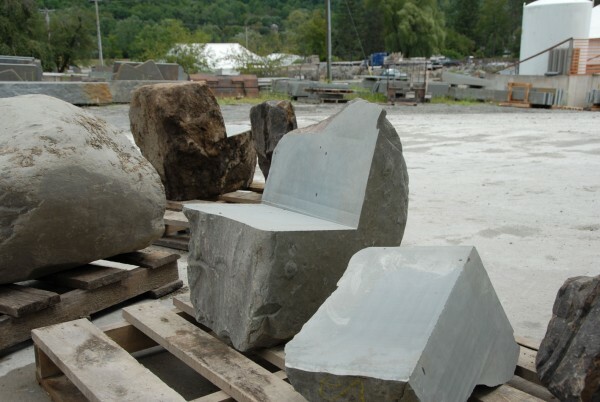 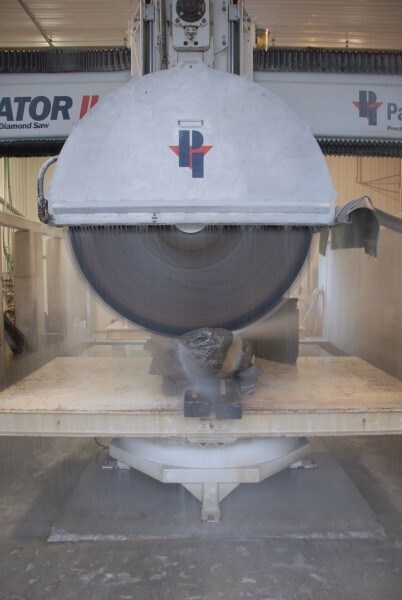 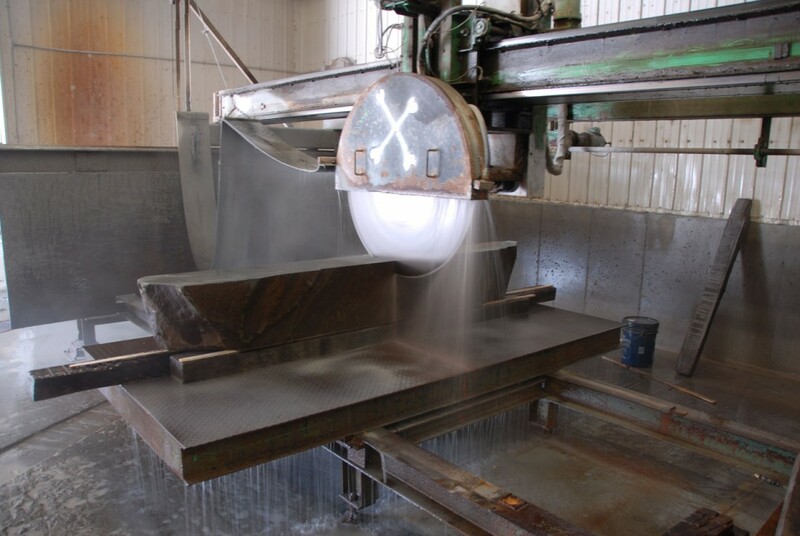 Earl is looking for particularly flat, even grained slabs of bluestone that can be used as flag stones for sidewalks, so when he hits a natural seam face in the solid bluestone hill, often large amounts of irregular shaped stone must first be removed to get to the good stuff. 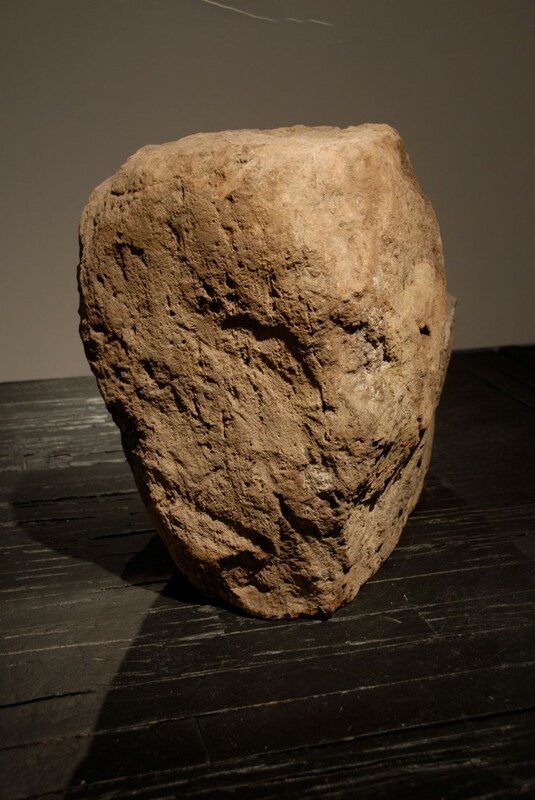 But to me it is the irregular stones that I call the good stuff, which suited Earl just fine. 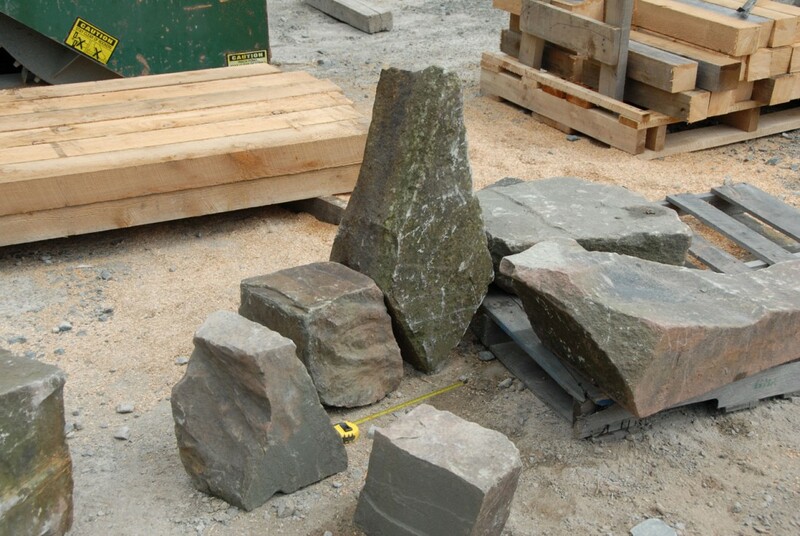 The task of searching for two suitably proportioned stones with equal grain, absent of seams or splits was not straightforward. 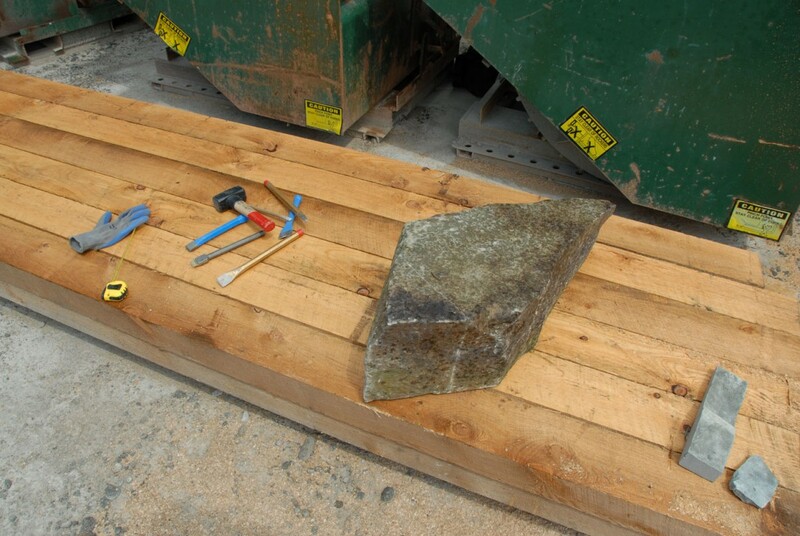 But the lifting and sorting through multiple tons of bluestone rock makes the discovery of two such stones that much more satisfying. 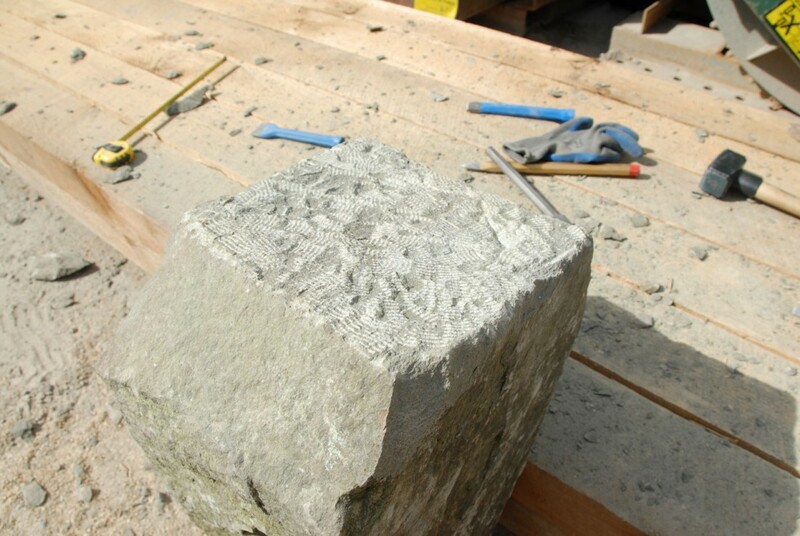 It is often the searching and editing process that presents the biggest challenge when stone carving, but for me is one of the most important aspects of my work with natural stone; to research the geology of an area, to locate a suitable quarry, approach, work with and develop a relationship with the quarrymen, move ton after ton of rock, constantly in fear of disturbing a rattlesnake’s lair, all with the intention of finding the perfect stone, a stone that inspires me to carve a piece of furniture sympathetic to the original, natural shape and character of the stone itself. 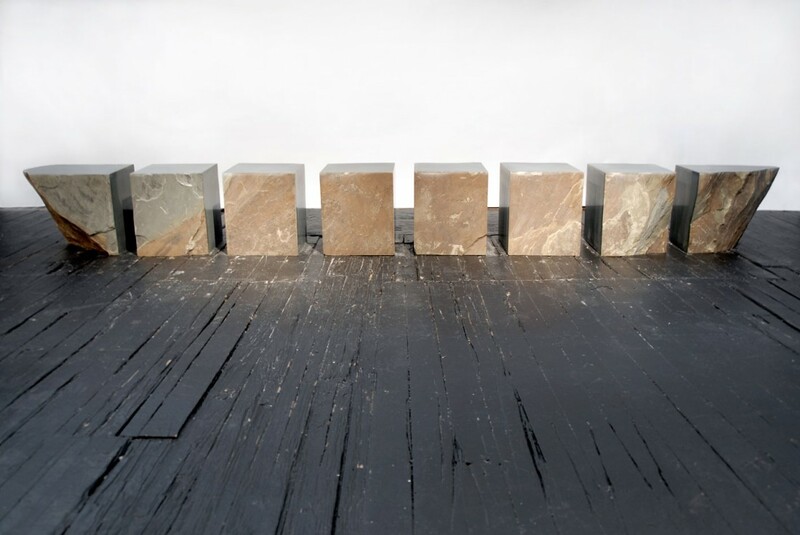 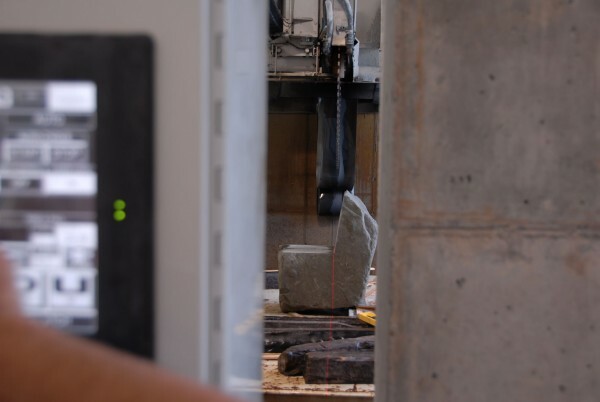 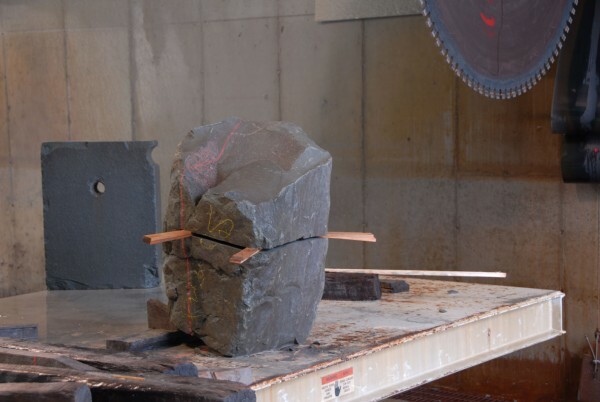 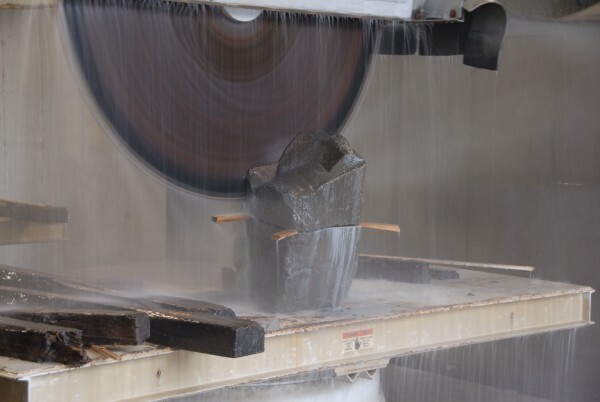 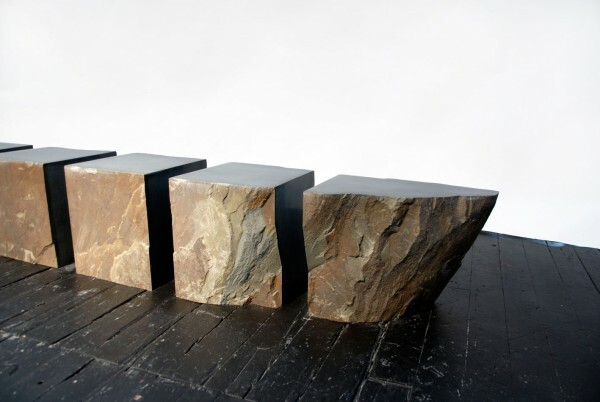 My engagement with natural stone as a raw material, and my exploration of stone within the quarry environment, is as much a project of personal experience as it is of expression. 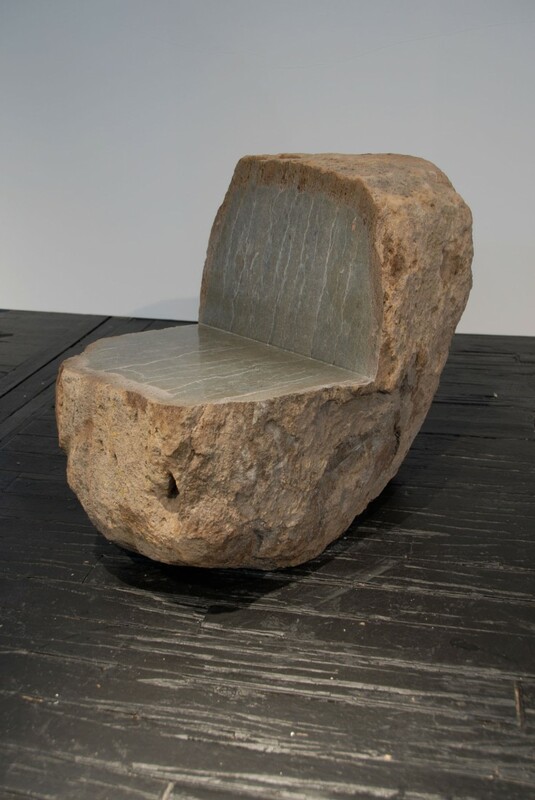 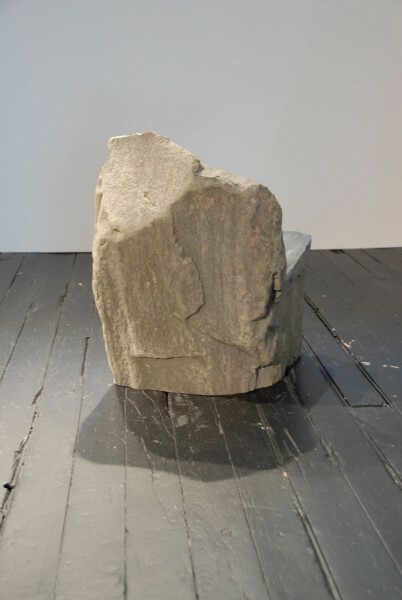 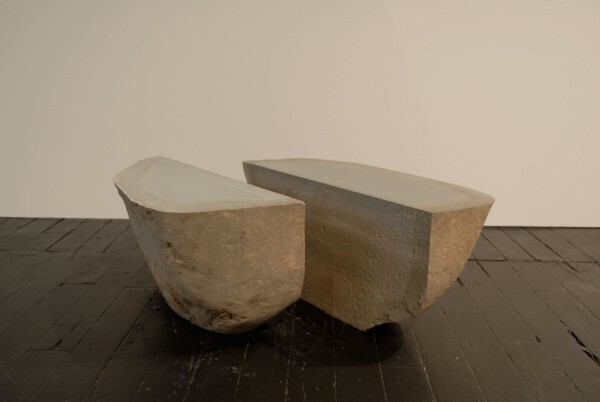 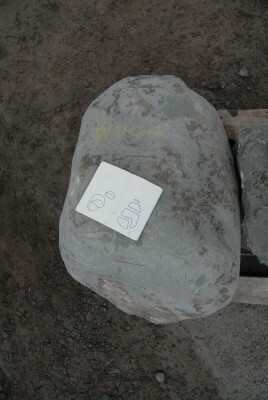 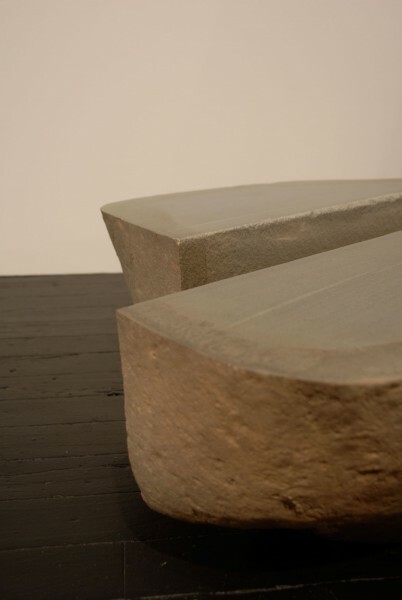 I returned to Sonny & Sons’ yard with a palette full of Hennessey’s Bluestone, and using simply a hammer and chisel I carved into two of the bluestones, chiselling fragments of stone away until they nestled tightly together, naturally supporting one another to create a chair.